Rita Lee Chapman was born in London and moved to Australia in her early twenties. 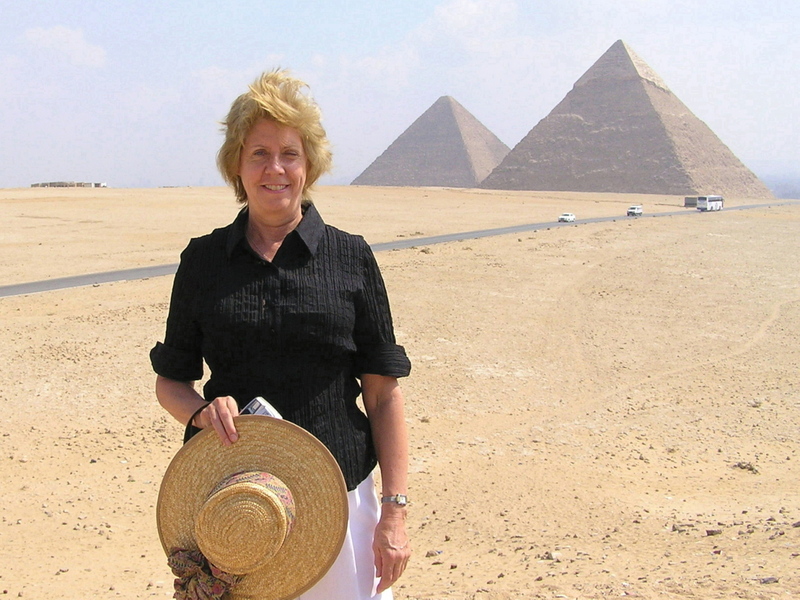 It was only when she retired that she wrote her first novel, Missing in Egypt, a romantic travel mystery. Her latest book, Dangerous Associations, is her first foray into crime mystery. A.) It was after I retired. Over the years I had started a couple of times but I only had a typewriter, no computer and I didn’t get very far. Once I retired I had more time – and a computer! A.) I’d say it’s deciding what to write about. My first book was the hardest – with so many options what sort of story did I want to tell? I remembered a wonderful holiday in Egypt, a mysterious and intriguing country. Vast deserts and uninhabited areas, crowded cities, towering pyramids and ancient tombs are all found in Egypt. Even today new tombs are being discovered, many still containing the sarcophagus and a myriad of valuable jewellery and antiques provided to sustain the deceased on their journey to the after-life. What better place to set a mystery? And so Missing in Egypt was born. My second book, Winston – A Horse’s Tale, was the book I always wanted to write. It is told by Winston himself but it is very horsey. Dangerous Associations, my latest book, is my first foray in to crime mystery and was written to appeal to a wider readership. A.) I know every author says this, but to hold your first book in your hands is an amazing feeling. After finally coming up with a subject to write about, finding time to write it and going through the editing and publishing processes it is a very satisfying time. Little was I to know that the hardest part was still ahead – marketing! A.) I think the story is the more important to me than the character – I hope this doesn’t show in my writing! I don’t become as attached to my characters as some authors do – to me they are a tool through which the story is revealed. A.) Because I am retired I would have to say a typical day for me is pretty wonderful. My husband and I play tennis, walk by the sear, or the rivers and lakes so close to our home and enjoy mixing with a wide circle of friends. Usually I do some housework in the morning and after that is my normal writing time. However, I don’t write every day, only when I’m in the mood! After all, I am retired. Synopsis: An ex-husband, a new love, a stalker. Cathy Thompson’s link to her ex-husband fills her life with threats and intimidation. She must either trap her stalker or find Geoffrey to put an end to her life of fear.